“One Province, One Rate” Policy. He was responsible for the passage of a telecommunications resolution that enjoined telecommunications firms to adopt a “one province-one rate” policy that removed undue long-distance call charges. The un-relentless persuasion he applied to the telecom firms paved the way to adopt the policy. This means that residents of Olongapo, Zambales and Subic Bay Freeport can now make province wide landline or LL plus calls minus the extra charges. The resolution led to the deregulation of the city’s telecommunications sector and ended the long-time monopoly of existing provider who capitalized on the exclusivity clause of their permit to operate in the area. New major telecom players such as Globe Innove, Digitel, PLDT, Smart, SunCell and others came. This augured well for the establishment of Call Centers which for the longest time have shield away from operating in Olongapo Subic because of its non-compliance to the redundancy requirement. This also paved way for a free choice of service providers to both business sector and the consumers. To date, four BPOs, and KPOs have registered in the Freeport with major BPOs such as Sutherland expected to start operation by November. 2009 R – 29 – A RESOLUTION ENDORSING THE INTERCONENCTION OF TELECOMMUNICATIONS FACILITIES OF SUBIC-CLARK-TARLAC GROWTH CORRIDOR. As part of the Central Luzon Growth Triangle, both Subic and Clark are envisioned to complement each other. Since roads such as the Subic-Clark-Tarlac Expressway and other linkages between the two special economic zones are being built, telecommunication facilities should likewise follow suit to facilitate transactions. With this objective, Mr. Piano authored a resolution whose intend is for the removal of additional charges on phone calls to and from Clark and Subic. This will enhance the flow of communication between investors from both size of the growth of corridor minus the extra costs. Through legislation and actual implementation, Mr. Piano has harnessed the benefits of Information Technology for a faster and more efficient conduct of transactions with the city government and easy access to data and information. Computerization System. – At this modern age of computers, he pushed for legislation to automate government transactions and records. The Unified Land Information System, Business Permit and Licensing, Real Property Tax Administration, Public Utilities Computerization, Hospital Information System and the Document Tracking System were all implemented during his watch as Chairman of the Committee on Information Technology and because of the city mayor’s trust and confidence to Mr. Piano, he was appointed as Chairman of the Information Technology Board thru Executive Order 84 series of 2004 which gave him executive power to oversee the computerization projects. This is intended to effectively and efficiently facilitate doing business with the city government and ensure that records are properly documented, safe and easy to access when needed. This resulted to faster service, less inconvenience for transacting residents and streamlined the processing of documents. In 2004, Councilor Piano authored Ordinance No. 36 which established the legal basis for the creation and operation of the city college which was named Gordon College. Today, the school is a full blown college offering a number of courses the standard of which is comparable, if not better, than those in Metro Manila. Parents no longer have to worry being separated from their children only to study some place else and, needless to say, their budgetary concerns have been eased. Accreditation of Gordon College’s Nursing and Midwifery School. Mr. Piano worked for the accreditation of the Nursing & Midwifery School of the city college with the Commission on Higher Education and the Association of Local Colleges and Universities (ALCU). 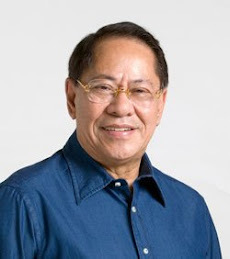 As the most senior member (since 2001) of the Board of Trustees of the said college, his aim was to raise its learning standard so that students in Olongapo who could not afford to stay and study in Manila may receive the same quality of education associated with universities and colleges in Manila. He likewise supported the computerization of the school from internet connections for the use of students to the registrar’s records and every facet of the institution’s transactions and academic operations. A Plaque of Recognition was given to Mr. Piano for having contributed to the growth and development of the college and in acknowledgment for his quest for excellence in education, the tribute was given on 20 February 2009 during Gordon College. Mr. Piano believes that information should be readily available to the public so he took it upon himself, at no cost to the government, to undertake the computer archiving of City Ordinances and Sanggunian Resolutions starting from when Olongapo created in 1959 to the present. Now, students, researchers and other interested parties can easily have access to very important documents even in the comfort of their home, school of office and without going to the City Hall or Public Library. The www.sangunian.com with its full listing and on-line availability of such documents is a first among local government units. A thorough utilization of existing search engines will reveal that this project has not been fully replicated, although some have already started but not an LGU has gone to the full listing made by Mr. Piano for the City of Olongapo. Mr. Piano is actually offering to share this system to any LGU who is interested to implement the same and do away with exorbitant fees that contractors will charge the LGU to implement electronic legislation (eLegis) or Legislative Management Information System LegMIS. Three-in-One ID System using the Mobitron. An identification card installed with a built-in tracking system that can be used as valid ID by city residents such as drivers, vendors, government employees and other sectors who want to avail of it. This was put into use by the city government through a resolution initiated by Mr. Piano. Once swiped into a Mobitron device, it transmits information to a computer regarding, for example, how many traffic violations a driver has been ticketed for; or whether one has availed of a particular government service. The ID card also serves as a daily time record for government employees. To achieve development while in financially difficult times, Mr. Piano made major changes to the city’s revenue code which would make doing business for SMEs easier without sacrificing the services that the city can give to its constituents where the funding source is from the city’s regulatory fees. Material Recovery Ordinance. When Mt. Pinatubo erupted in 1991, it left in its wake tons of volcanic debris that covered the surrounding mountains of Olongapo which cascaded into the rivers during rainy seasons in the form of lahar. This caused river siltation and clogged the city’s drainage system and eventually spawned massive flooding in the low-lying areas. The city used to spend millions of pesos to dredge the rivers and haul off volumes of lahar elsewhere. To avoid draining the city’s resources, Mr. 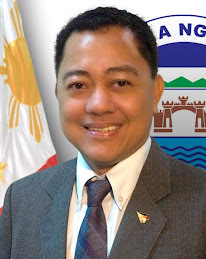 Piano authored an environment-friendly, non-destructive quarrying ordinance allowing the private sector to collect accumulated volcanic sand for use as construction material from the city’s rivers for a fee. Aside from creating an additional source of revenue for the city government, the project minimized flooding while at the same time opened possible business opportunities. MASS LAND TITLING. Councilor Piano being a member of the Mass Land Titling Taskforce assisted his constituents to realize their dream of having the land where they are living become officially theirs and documented by a land title, since when the project started, only 10% of the city’s land is titled. At the same time, the city government also gained from the sales tax and related fees that people paid to formalize their ownership of the land. Environment provisions were aptly included in the code which envisions a future if Olongapo being one with nature. TITLE: AN ORDINANCE PRESCRIBING FEES FOR QUARRYING OPERATINGS AND RELATED ACTIVITIES THERETO. e) Resolve the perennial spontaneous combustion and fly/mosquito infestation problem in the city's landfill. Section 3D.10 Operation Cost - The cost of material extraction when the city’s dredging machine is utilized will be charged at a rate of actual operational cost plus the depreciation cost of the machine including its peripherals and accompanying buck hoe, loaders and dump trucks if utilized for the operation. The rates under this provision shall be based on the equipment rental standard used for government projects. Revenue generated from this section shall be used to maintain the embankment of the city’s river system. Telecom Board. Mr. Piano was the principle author of City Ordinance No. 24 Series of 2004 which created the Telecom Board. The body is tasked to monitor the construction of Telecom Cell Sites within the jurisdiction of Olongapo and the issuance of related permits. When before, Telecom companies just built cell sites without paying regulatory fees to the city government, now they are required to do so and are obliged to settle local fees and taxes of existing infrastructures before getting the nod to proceed with the project. This gave the city government substantial source of revenue. Aware of the meagre salaries of ordinary government employees, Mr. Piano pushed for a legislation providing for a free annual medical/physical and dental check ups to all city government employees, including those with temporary status and on contractual basis. This lead to the city giving free medical and dental to jeepney/tricycle drivers and teachers. While outside of the confines of the session hall, Mr. Piano continues to serve the people of Olongapo in various capacities. A tireless and dedicated public servant, he shares his expertise and ideas to whatever task is at hand to improve the lives of his constituents and help them realize their aspirations. Being a Human Resource Development Specialist, Mr. Piano wholeheartedly shared his God-given gift to improve and uplift the lives of his constituents by giving them the required knowledge, skills and ability to qualify for jobs or pursue their ambition and have decent future in their chosen career. Skills Training Program – Mr. Piano heads the Olongapo Skills Training Center which trains the unemployed and out-of-school youth in various skills and turn them into productive citizens who are globally competitive by equipping them with the requisites for landing jobs in the various companies and locators in Olongapo and the Subic Bay Freeport as well as overseas. Based on manpower computerized tracking system that the Center staff created, more than 7,000 workers have found gainful employment in welding, shipbuilding, computer, including languages (Korean, German). Majority of those who completed training as welders are now currently working at Hanjin Shipbuilding Company, one of the world’s largest shipbuilding company which has its shipyard in Subic. Jobs Fair – Mr. Piano created the On-Line Jobs Matching Service www.jobs.subicbay.ph and/or www.jobs.olongapo-subic.com where job seekers in the city can find a list of job openings and mailing lists. It also provides useful data, private access and branch exchanges. INNOVATION – With the task of training thousands of youths but with meager funding, Mr. Piano needed to come up with the solution of imparting the all important skill in welding… the eye – hand coordination. A steady hand is an ultimate necessity if a worker intends to produce high quality welds. But the prohibitive cost of consumable welding electrodes, mild steel plates for practice and the cost of electricity could drain funding and eventually stop the training program… a situation more costly and will deprive those who wish to learn the trade and realize their dream of becoming a shipbuilder. The opportunity is within reach but the stumbling block appears insurmountable that as a leader, Mr. Piano must think fast and come up with an effective yet cost efficient solution to the problem. He utilized today’s latest tool to look for solution… the internet, and learned that advanced nations are now using a VIRTUAL WELDER TRAINOR. Offshoots of flight simulators which have already save hundreds of lives not to mention immeasurable cost savings to both the airline industry and the military. But the Virtual Welding Trainor invented in U.S.A. was so expensive the only the U.S. Navy and U.S. Army were able to afford it. Mr. Piano studied the concept behind the US invented virtual welder trainor and using his long years of experience in the trade, adopted a local version at minimal cost but with the same effectiveness as proven by the more than eight thousand trainees who have used it. But it’s not only cost savings that make Mr. Piano’s invention worthwhile, the trainees can practice as long as they like minus the hazards of smoke, burns, eye strain and even made the training enjoyable so that after they have gained the skill and confidence, proceeding the actual arc welding becomes easier. Photos shows job fair participants trying out the Virtual Welder Trainor. It’s always a big hit during jobs fair that it made job seekers realize that welding trade is not as hard as they first thought; thereby making them decide to enroll in the free training program and eventually become shipbuilders themselves. Videos of this invention in action can be seen at you tube including videos when it was featured in ABS-CBN channel 2 and ANC News. TESDA Kabalikat Awardee. His effective management of the City Skills Training has been acknowledged by TESDA and Mr. Piano was chosen as a provincial and regional winner and was a runner-up for the national category. Guam Task Force – As head of the Guam Task Force, Mr. Piano closely coordinates with his Guam counterparts regarding the employment of Olongapo’s skilled workers to the American territory which is expected to require huge manpower for the expansion of the U.S. military facility there triggered by the transfer of the U.S. base from Okinawa, Japan to Guam. To date, Mr. Piano’s office is deluged with applications from former base workers who will be given hiring priority in the ongoing Guam build-up while fresh graduates from the City Skills Training Program are being prepared for deployment next year. A website www.Guam-OFW.com and mailing list was created by Mr. Piano to regularly update those who are interested in Guam project, an on-line registration was provided for far-flung applicants to register without expending fare to personally register. Boy Scouts of the Philippines. Mr. Piano is an active member of the BSP and is the Vice Chairman of the city’s James L. Gordon Council. He teaches young scouts in Olongapo on proper radio communication and thus consistently emerges as champions during jamborees-on-the-air JOTA jamborees-on-the-internet JOTI and is able to maintain regular global linkages with other youth and scouts. ON-LINE NEWS. Olongapo Subic Bay News. 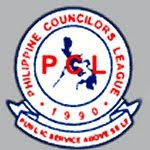 As webmaster of a local on-line news www.Olongapo-Subic.com and www.news.SubicBay.Ph, Mr. Piano provides information on what is happening in and around Olongapo City, this is updated daily or as the news happens. He also created and Internet-base Community Television www.oictv.blogspot.com where videos of what’s happening in the city can be viewed. An on-line discussion board ensures that what the people wanted to say is being heard. Authored 2009 R – 94 - A Resolution Enjoining LGUs, SBMA and NGOs around Subic Bay to participate in the creation of Subic Bay Waterways Council and support the projects thereto. To monitor river and major drainage outfalls going to Subic Bay and make people realize that Subic Bay’s pristine nature is seriously threatened if the community continues to dump waste in its tributaries.